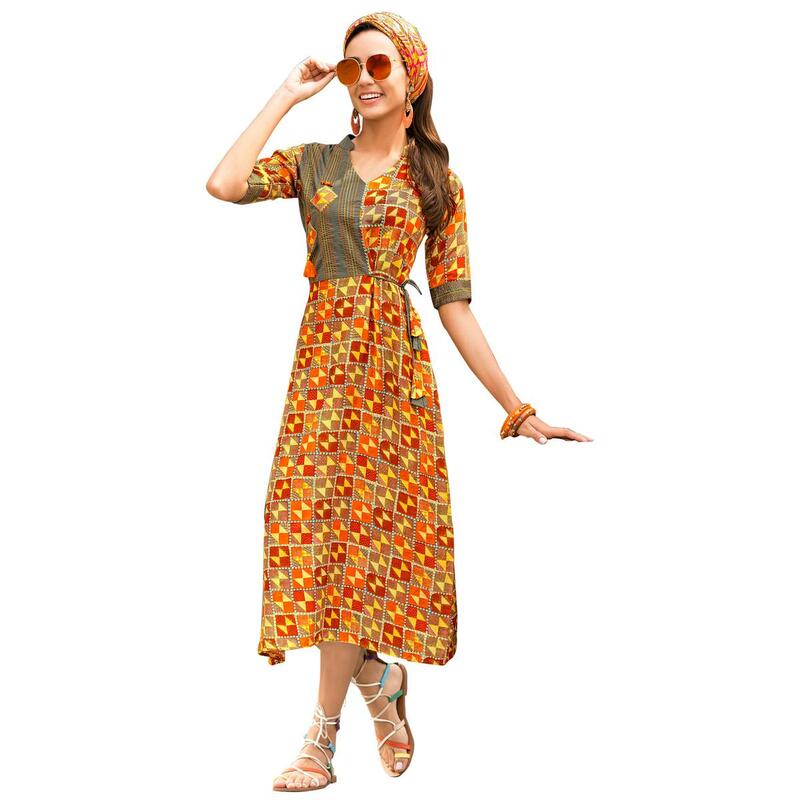 Look trendy in this orange colored casual wear printed rayon kurti. 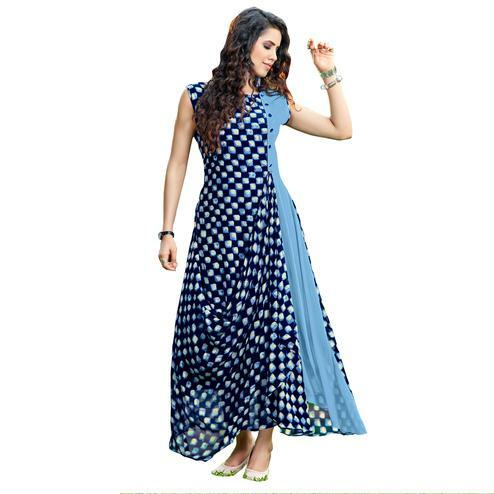 The kurti is made of rayon fabric and has drawstring at the yoke as a different pattern to make it look stylish. 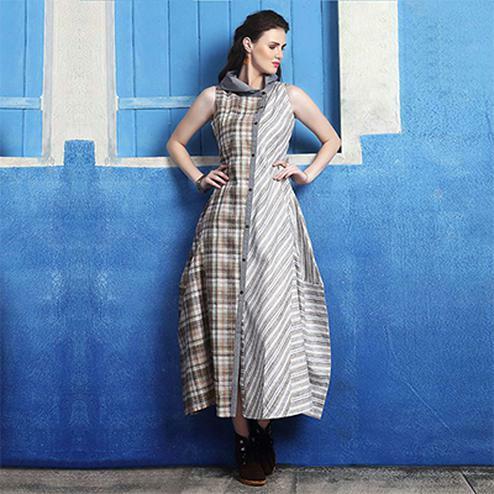 The kurti. The kurti has such pretty printed colors of a setting sun which is perfect to brighten up your day.The kurti has 3/4th sleeves and is available in different sizes. It is perfect for the easy casual days.You can wear this with jeans, leggings or as a one piece dress.The skirt is perfect to wear on casual days, at office,social meetings, kitty parties,homely events. Pair this with funky accessory and you are ready to head out.